There are so many different types of video game available you could be forgiven for thinking that some of those that appear here aren’t true strategy games, but rest assured that they all feature strong strategy elements. Pocket Empires is one of the most popular mobile strategy games available, however, and often appears in lists of the top ten strategy games for popular mobile phone platforms. A popular type of strategy title is the tower defense game. This basically involves protecting your castle or base from an onslaught of enemies, hopefully wearing them down in order to launch a counter-offensive. There are many available for most mobile platforms, largely because they are both easy to produce and fun! As with desktop gaming, mobile gamers demand hints and tips and when there are enough of these available full guides can be produced. For instance, you might be a fan of the Angry Birds games. While these might appear to be simple catapult games, they actually feature some pretty impressive in-game physics. As such working out exactly where to aim the birds can prove tricky, and requires plenty of patience – hence the need for strategy guides! Many games hold secrets, too, special features that offer bonuses such as skill upgrades or credit boosts, strategy guides often list how to find these as well as outline the right way to attack opponents, approach missions and generally win! The popular Google Android mobile platform is a popular choice for gamers, and there are many mobile strategy titles available. Along with the usual Angry Birds and similar physics-based games you will also find plenty of chess and tower defense titles for Android. A sharp mind and a will to win is required to win any strategy title, and chess is probably the ultimate strategy game – hardly surprising given its status as a gaming classic. Chess was one of the first table top games to be adapted for computers back in the 1970s, and indeed dedicated chess computers were available at this time. Naturally the popular iPhone platform has a massive selection of strategy titles available from standard turn-based to real-time strategy games, tower defense and RPG-strategy titles and even zombie games with a strategy angle. It’s fair to say that the majority of games have at least one strategy element, something that makes the label something of a misnomer from time to time; certainly it can be difficult to identify a strategy game, just as it can be tricky to put a label on any other type of video game. Ultimately, if the game requires you to think before you act, then it is a strategy game. Looking for Zombie Games for the iPhone? Look no Further! The increasingly popular Windows Phone platform has a nice selection of strategy titles available for users, mainly in the Xbox LIVE category. These are titles that offer players achievements and upgrades for their Gamer profiles, not to mention increases to their Gamerscores. They are proving as popular among Xbox 360 owning Windows Phone users as they are with those who have no access to a games console. For many years Star Wars has proven to be a massive franchise for video gaming and there are several strategy titles set in this universe already in existence, so it shouldn’t come as any big surprise to find that there are titles available for Windows Phone. Also available on Windows Phone is another perennial strategy title, Monopoly, the ultimate tycoon/strategy game. If you're able to handle the always-changing strategic requirements of Monopoly expect to start adding to that Gamerscore! 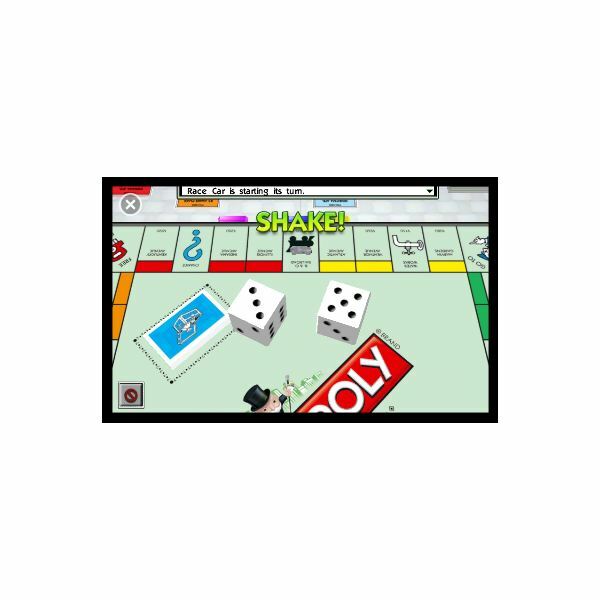 Gain a Monopoly on Your Windows Phone!